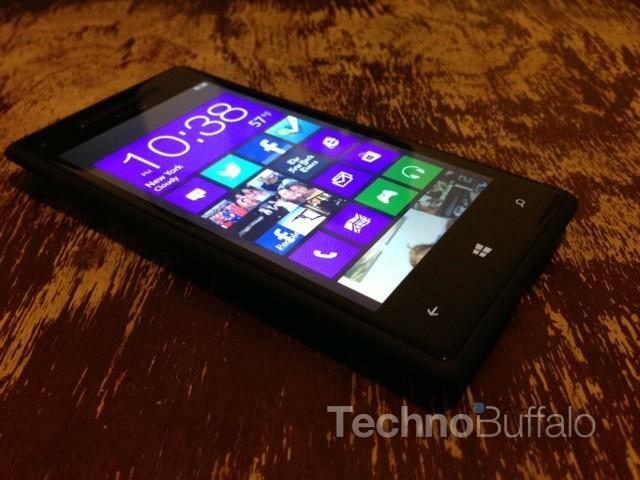 We just finished reviewing the HTC Windows Phone 8X and, long story short, we love it. But there are going to be plenty of new devices from Samsung and Nokia, too. 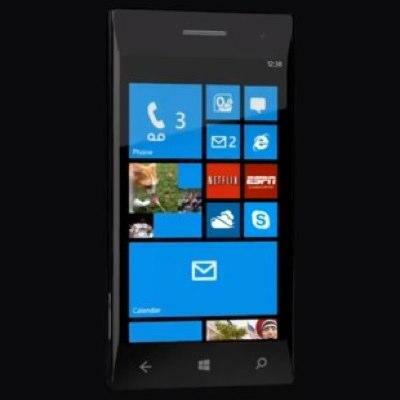 Windows Phone 8 is a solid upgrade over Windows Phone 7.5 and it offers a lot of attractive new features that Windows Phone lovers, and even lovers of other platforms such as iOS and Android, are really going to love. Here are our favorites. The Windows Phone start screen is more customizable than ever thanks to the update. You can now resize (some) live tiles to three different sizes, including miniature sized ones that allow you to pack more icons into a space. In fact, you can squeeze four mini tiles into the same sized spot that the older, larger live tiles fit in. Unfortunately, the mini tiles aren’t “live,” but you can also increase the size of the live tiles for applications such as Facebook. This shows your cover photo on Facebook and allows you to update your status with a tap. Other apps, such as CNN, will soon provide full headlines and images from your news feed. The customization is amazing and Microsoft isn’t kidding when it says no two start screens are alike. Bonus feature? You can now use one of 20 colors on the start screen, too. 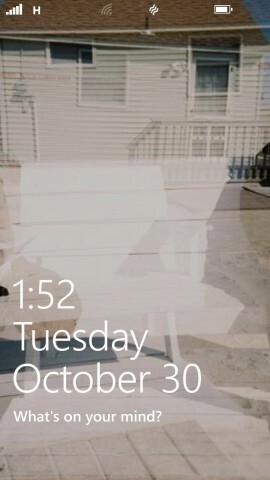 I absolutely love the lock screen in Windows Phone 8. Microsoft now allows developers to tie their apps into it, which means you can see the number of Facebook alerts or any alerts from apps that will add this support in the future. You can also choose to have a Bing home screen to view the beautiful Bing photos that Microsoft always provides (and always changes), or show photos from one of your Facebook albums. Never before has a home screen felt as alive as it does on Windows Phone… well, Samsung has done a pretty good job with its latest Nature UX customization, but I think Window Phone 8 lock screens work better. 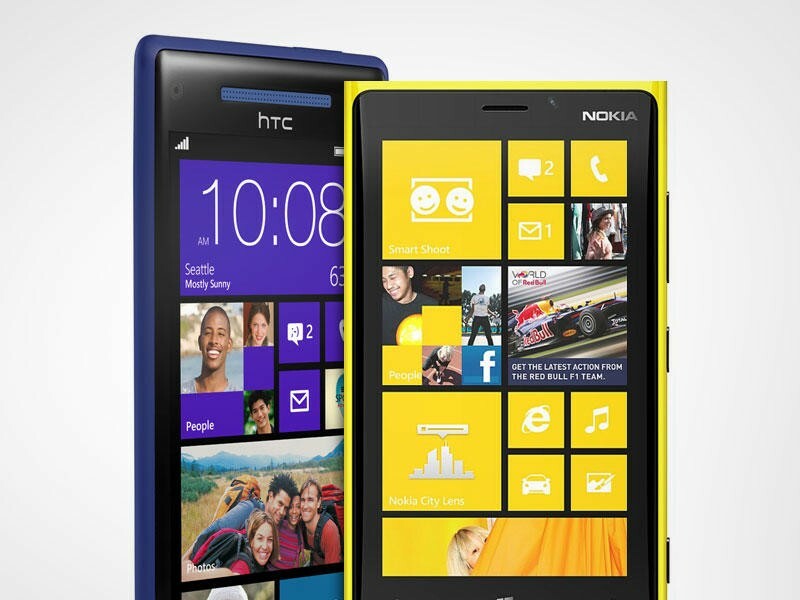 Windows Phone 8 ushers in a new era of hardware for Microsoft. Nokia, HTC and Samsung (and Microsoft’s other partners), can now include much more powerful hardware than ever before. Screen resolutions are sharper than ever before, thanks to the increased support for higher resolutions. Nokia, HTC and Samsung are also using dual-core processors from Qualcomm – Windows Phone 7.5 was limited to single core apps only. Additionally, we’re seeing the best cameras ever available on the platform. Nokia is including its PureView shooters in its Lumia line and HTC is offering a wide-angle lens on the front of its Windows Phone 8X devices. Add in NFC and existing support for 4G LTE and the platform is in a closer heat to iOS and Android more than ever before. 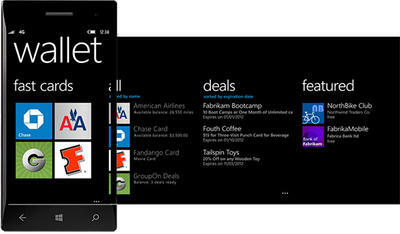 Windows Phone 8 has a new feature called Wallet. It’s not finished yet, at least as far as I can tell with my time with the operating system. It also doesn’t seem to support NFC (yet), which I think could put it leaps and bounds ahead of Android and iOS. Still, you can automatically add your bank cards and information so that you can always have a backup of your info. You can also add travel cards, such as your Delta airlines account, or other frequently used cards. Right now, however, the Delta app doesn’t appear to be working fully since the app doesn’t recognize my information and simply adds a bank account. But I have a feeling that this is going to be working just fine by the time devices ship around the world this weekend. I see app updates daily and it’s a major new part of Windows Phone 8. This is amazing. Microsoft has created a new part of the “People” application that’s called Rooms. It allows you and your family, or other groups you create, to share calendars, photos, a chat room (based on Messenger), videos, your location and even notes. 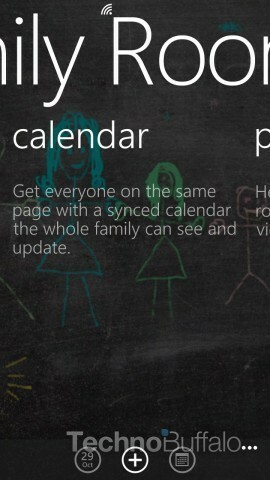 A family, for example, can share a shopping list or post the kid’s soccer games to a shared calendar. Or a business group could share deadlines and stay in touch via chat as they reach the goal. It’s truly a fascinating new idea that I haven’t seen on other platforms before, and I can’t wait to try it more as new Windows Phone 8 devices begin to ship. Microsoft says there’s support for iOS and Android, too, and while I was able to add my fiance to the room (she runs Android), we weren’t able to share calendars, photos or chat. So basically, it doesn’t work at all cross platform yet… for me, anyway.